Earlier this year, our Circuit held a workshop led by Rev Robert Jones, to help us understand more about the role of a chaplain. 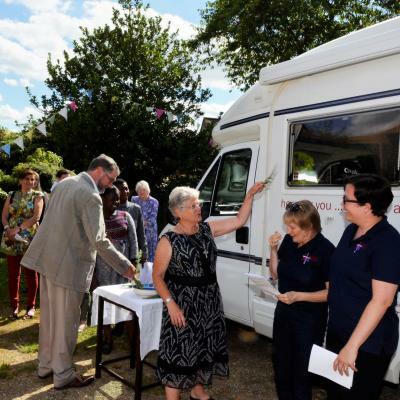 Chaplaincy is already well established in the Forces, in education and young people's work, in hospitals, hospices and care homes, in agriculture, in prisons or in civic life. 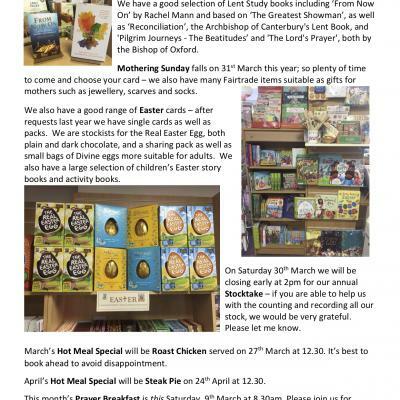 In more recent years there has been a growth in chaplaincy in shopping centres and businesses and in other work places. So what is a chaplain? A chaplain offers a visible Christian presence, interacting with people in the community or in the workplace and is someone who goes out to where people are, to listen, to be alongside, to be a guest not a host. Chaplaincy is not about "gathering in" — inviting people to "join us" — but more about "going out", reflecting the ministry of Jesus who went out to minister wherever people were and he sent out his disciples to go and do the same. A chaplain is available to those with faith and those who don't profess faith. Their role is not to preach but to listen and respond and if invited to do so, discuss their Christian faith. Our vision — of providing chaplains where people live rather than where they work — seems to be new. 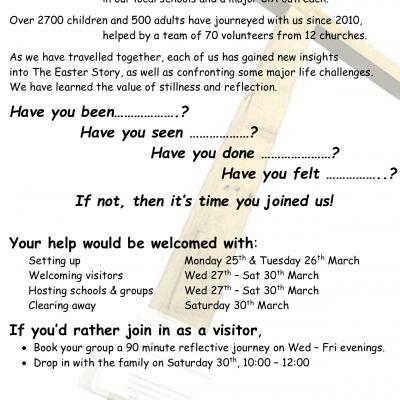 Working collaboratively with other churches, we seek to offer chaplaincy in new housing areas. Our focus has been on Great Western Park (GWP), the first and most advanced of the major developments planned in our Circuit. Recently, Sarah and I completed our Chaplaincy Essentials training with Katherine — one of the things we ask all chaplains and chaplaincy volunteers to have done. We found it challenging, engaging and stimulating. 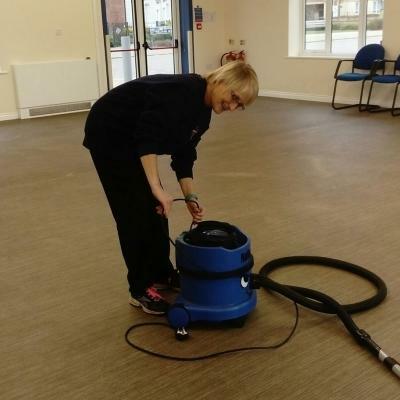 It's always interesting when theoretical training is undertaken alongside practical experience. One of the things that sticks in my mind from our final session is what chaplaincy is. We often get asked when we're out and about "who are you? What do you do? Why are you here?". 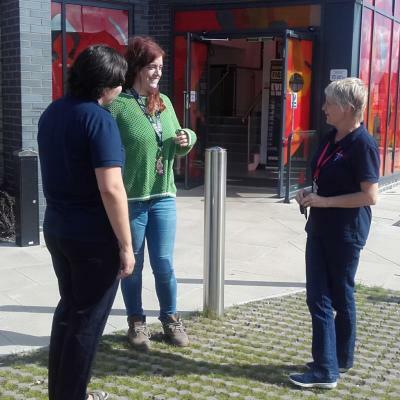 Each a conversation in itself, and some of our favourite questions to ask people when we're plodding the pavements or going to a new group at GWP. So it was interesting to hear what the author of the training course said. Chaplaincy is prophetic, pastoral and present. We permeate the culture at GWP — by being present in community groups, in public places and at special events, we ask people to think differently. We occasionally have a calming influence in challenging situations, inviting people to be gracious to each other, to feel empowered and to have a safe space in which they can emotionally flop. By being present in schools and community groups, we invite young people to shine, being themselves and engaging with the world around, their peers and regular teachers or leaders. Chaplains are prophetic (so the Chaplaincy Essentials course goes). We took that to mean two things — we have the freedom to try out new ways of doing things, to experiment with ways of expressing our faith, to look at ways that — with other Christians in the area — we can invite faith to be brought to the proverbial table. Stories of Jesus inspire. The Holy Spirit empowers. Prophecy can also mean speaking the words of faith in courage where needed. This is such a hard one. Chaplains across the country are spiritually reactive, pastorally proactive. People know we're Christian, safe, trustworthy, dependable and can keep confidence, but quoting scripture to people or even offering to pray can have such a negative impact depending on where the other is coming from. We need to know how to share God's peace and love with people who are hurting in the most appropriate way. Coming from a rich background of personal and corporate faith ourselves, we need to be able to quickly sense what level of challenge and "religious talk" is appropriate at any given moment. And we are pastoral. A lot of our work is about encouraging people, sharing the hope, peace and love that comes from knowing Jesus. We notice. We care for all equally — no matter how important they feel personally. We take time for everyone who needs a 'spiritual hug'. We're there for all people, of all ages, professions, faiths, ethnicities, sub-cultures and life experiences. You can imagine that with such a wide remit, we're becoming ever increasingly deeply embedded into the culture at GWP. We're invited to go to an ever growing range of places. We're finding doors, both physical and proverbial, opening to us all the time all over the place. And we need you — your prayers, your support, your encouragement and your smiles. Anytime you're at GWP, look out for us, see what we do, come for a walk and talk. Or join us on Facebook, Instagram, twitter or email. 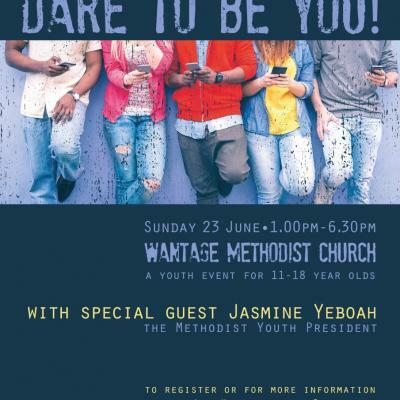 "The culture in which we live is changing so rapidly that sometimes it can feel as though there is an increasing gap between existing forms of church and the majority of people in the UK today, particularly those under 40, who don't have any church connection. But the reality is that many of them are spiritually open and are willing to explore a Christianity that engages seriously with their context" — About Venture FX, The Methodist Church website. It struck me today how a lot of pioneering (or at least from my perspective) is about making connections and widening our reach. In a myriad of contexts through a wide variety of ways, pioneering — and chaplaincy, is about making contacts, developing relationships, and helping to deepen our and others' awareness of who God has made us to be, where God has placed us, and who God is. A lot of what Sarah and I do is about trying to prayerfully sense where God is calling us to go each day, who to speak to, and what to talk about. Daily, we trust God and step out in faith, not knowing what each day will bring. Some days, we get very little response from others at all. Our 'hello's may be greeted with a slight smile, a stone-walled expression or a cross to the other side of the street before we even get there. Other days, 'chance' encounters bring us into connection with others who are seeking an emotional, and oft-times, spiritual connection. Our 'hello's open a world of conversations, some quite lengthy, and some surprising deep. Of course, nothing is 'chance' with God, who goes before us, walks with us, and follows behind us, creating moments of connection and openings in conversations. He knows the hearts of everybody at Great Western Park, and He guides us and directs us in where we should go. I'm often humbled by how many young people in particular are seeking after God and desiring to find moments of connection that are spiritually and emotionally significant. In a day, I might see and speak with 100 young people who might not know very much about the church, Christianity or the Bible, but who regularly experience the sense of comfort, warmth and connection that I only get by going to church. Sometimes, it's scary stepping out in faith, not knowing how we will be received or what attitudes we may meet along the way, but I trust that God has already planned our day for us in intricate detail, and that every moment of encounter helps us to become more of who God has created and is shaping us to be. There are no random moments in our work for everything is a moment of connection, whether they bring a smile to my face or a slightly tighter clutch of my coat. And every moment of connection is special to God who makes all things beautiful in its time and desires the best for us all. Libby writes: At college (Church Mission Society), I was taught the importance of weaving to missional ministry — taking many different threads of a community and bringing them into dialogue with each other, and with God. I didn't really understand the concept or implications of that until now. Walking round Great Western PARK (GWP) this year, I've been struck by what an emerging community looks like where church and chaplaincy is in the middle of that growth. Take today (the day of writing) as a typical example — I caught the train from Reading to Didcot as is my wont, got the bus to GWP, had a walkabout the estate, had lunch in one of the schools (as I do every Friday), and caught the bus back — a 4 hour shift. Today was no different from previously, and the encounters I had were of the ilk I have every week. The bus drivers are getting to know me now and shared with me how their days were going. The students embraced me in a game and several conversations — some even made a beeline for me as soon as they saw me. Others stopped to wish me a good half term on their way home from school. A couple of residents stopped to have a chat, and I was greeted by a couple of local managers with a smile, brief catch up and queries about stuff happening in the wider community. No different from most days, but what delighted me most is how integral we're becoming to the core of the community. We're being embraced as insiders, treated with respect and given a lot of trust. We are the glue that connects different parts of the community together, and a port of call for when things are not going so well. "To work magic is to weave the unseen forces into form; to soar beyond sight; to explore the uncharted dream realm of the hidden reality" by Starhawk. 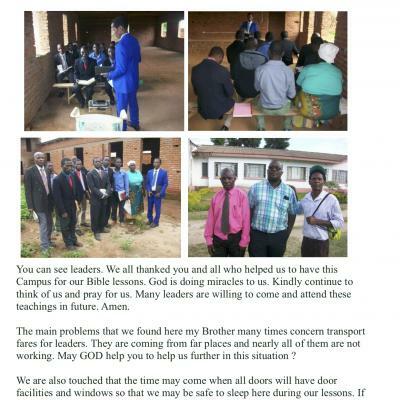 To me, this is an example of the possibility of growing interconnectivity of doing mission and ministry across an estate such as GWP, particularly when surrounded by people with the same vision and supported by our almighty God. 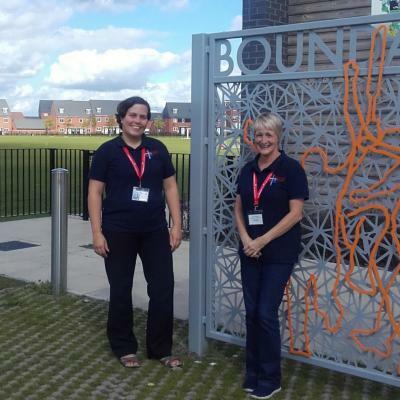 Sarah and Libby have now been based at Great Western Park for over 6 months and the time seems to have flown! They have made and are developing lots of connections in the area. Whilst continuing to wander the parks and alleys of Great Western Park, they are both very much welcomed by a number of people who live and work there. 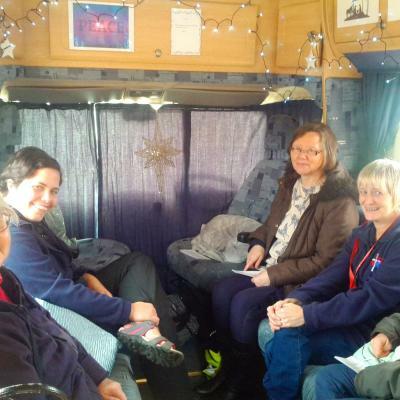 They regularly go into one of the local secondary schools to have lunch with students, give the occasional assembly at Stephen Freeman School, and support the work of the Rainbows, Brownies, Guides, and various Mums & Tots' groups. 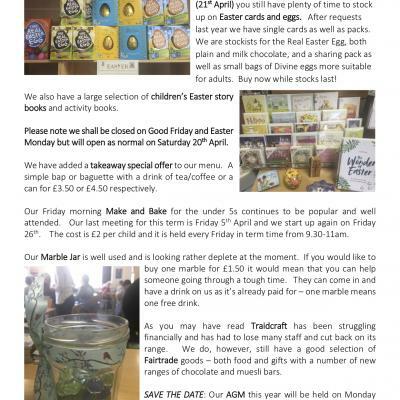 They regularly meet with the Manager of The Station Pub; Salespeople at McCarthy & Stone — the local retirement home; the Manager of the corner shop; and Chair to the Residents' Association. 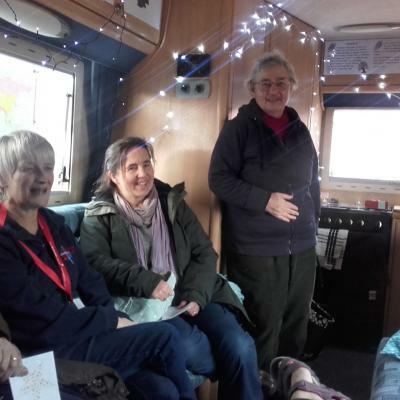 They bring concerns to Residents' Association meetings, share in the fellowship at the Thursday morning Community Cafe, and are valued members of the wider community. They rely on the prayers and encouragement of everyone in our churches as they seek to serve God in new and exciting ways. Please pray also for Rev. Katherine Pickeirng as she pioneers the extra role of line-managing the chaplains, and for the support group who help the team in so many ways. 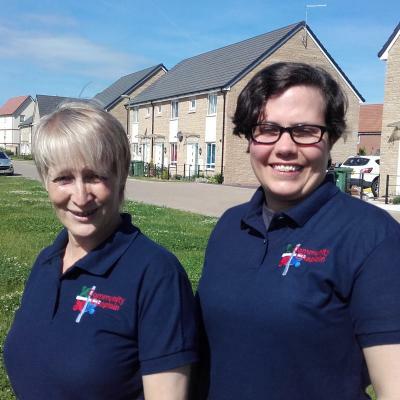 We recruited two part-time community chaplains, Sarah Ifill and Libby Hawkness-Smith, in April and they started work at Great Western Park in May. 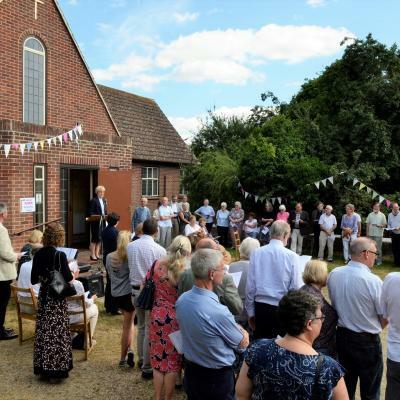 Here, they build relationships and complement other Christian initiatives, such as the flourishing community café and Rev Mark Bodeker's work establishing a new Anglican church, based at the UTC college. 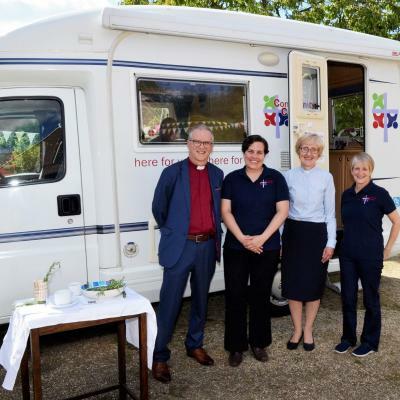 As their mobile base and visible presence, they use a small motorhome, christened "Hope" and blessed at the Circuit service where the Chaplains were commissioned in July. "Hope" stands out with its new logo, designed by Tom Atkinson, a Didcot Methodist member. 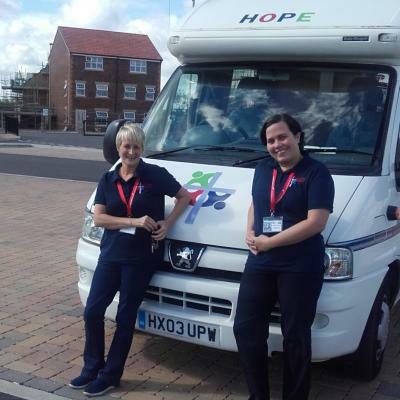 Look out for "Hope", and Libby and Sarah, on GWP now!